Welcome to Dragon Ball Online, A online RPG for all the Dragon Ball fans who seek a place to RP and have fun. To make sure everyone has a great time here we have some rules to implement but as long as these rules are in place and followed your stay here is sure to be a great one. The first rule is simple all players have the responsibility of reading all the rules of this topic if they refuse to read any others. However, it is recommended for everyone to read all the rules to understand the game/world. Any player who violates this rule will receive a warning, further ingnoring of the rules will result in a 3 day ban. If this is insufficient then a player will be banned from the site for failure to follow the rules. Staff have the final say on applications of any kind, should an issue occur where a staff member abuses power or players please skip any chain of command and contact me immediately with the details. Staff are expected to have a standard above any sort of bullying or other unprofessional attitude. Staff members of this nature will be removed from their position, if the member continues their actions a 3 day ban will be put in place. Should 3 days not make a difference then a permanent ban will be placed on that member. Account names and character names must match, this in the event your name is taken then please consult a staff member to have your username changed to something that can be appropriately identified. Accounts should have no more than 1 character to them, a person may have up to 3 accounts and 3 characters. Players must use the account for the character they are using to post to keep confusion down. Each Character is allowed to be in 3 threads at one time, the threads must all occur on the same planet to keep it simple. Players must also attempt to post more than one liners to allow others to have something to reply to. Every player must allow 24 hours before bumping any thread whether its an Application or a Topic, this gives others or staff time to check over it due to time zones possibly being different for us all. Players are not allowed to have any "Godmodding, Metagaming, or Autohitting" if this is seen or reported the post or topic may become void and no longer applicable to the topic they are in. All players out of character should respect one another by keeping swearing to a minimum. Posting adult content is an immediate ban. Everything created must be approved by staff before being used. 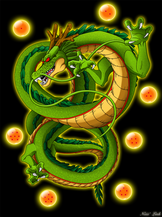 Items, Space Shuttles and Planets will require Zeni. All players start with 1,000 Zeni. More Zeni can be earned by performing Jobs. Advertising anywhere that is not designated for adverts will be removed and the member will be warned, the chatbox is also not a place for members to post external links of site. The Chatbox is not for members to harass staff with "will you look at this" or "(link) please check this" allow staff 5 minutes before bombarding them with requests, if the staff is on and says they are willing to check things with in their allotted 5 minutes thin this rule is void for that member only. Images placed in the Chatbox should be placed in a spoiler or if it is only an image, it is allowed to be linked in the chatbox. If the link rule here is used to advertise other sites then all linking will be banned in the Chatbox.